Posted on August 6, 2017 at 2:27 pm. Over the past year or so, I’ve noticed my son, David, acting differently from other kids his age – and not in a bad way! He speaks in a way and takes an interest in things that seem advanced for him. For example, he loves going to the toy store, but lately instead of looking at the figurines or video games, he heads straight to the puzzle books. Also, whenever it’s his turn to choose what we watch as a family, he prefers shows about science and nature! On top of that, at the end of the previous school year, his 2nd grade teacher brought to our attention how far ahead he usually gets in class lessons. My husband and I did a bit of research and think that he might be gifted. Is there any way to know for sure if David is? Many parents love to talk about how smart their kids are. 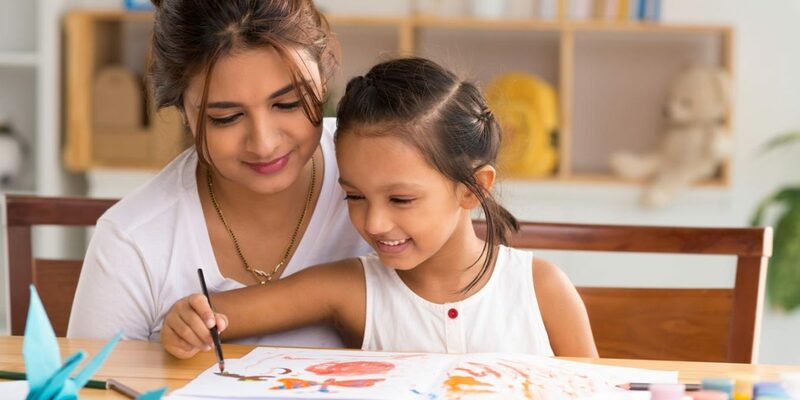 In many instances, these kids tend to actually do better than their peers in school thanks in part to their being exposed to factors that allow their intelligence to flourish, like a vast amount of books and Mom and Dad being very encouraging of them in pursuing various academic interests. Gifted children, although not too rare, are something to behold. They usually do better than other students in school, have interests that seem too advanced for them and possess a thirst for knowledge that adults immediately notice. If you’ve noticed that your child has advanced verbal and reasoning skills, then there’s a very real possibility that he/she may be gifted. Testing them to confirm if they are is a quest that can prove to open many new opportunities for them in school and life. Rice Psychology Group can help you determine which steps to take in order to find out if your child is gifted. In order to be identified as gifted, one must score 130 or higher on a standardized and individually administered IQ test, like the Wechsler Intelligence Scale for Children, Fifth Edition (WISC-V) or the Reynolds Intellectual Assessment Scales, Second Edition (RIAS-2). The 130 score is two standard deviations above an average score. However, know that an IQ test is simply a “snapshot” of a person’s subsequent skills. It’s not a defining picture of a child’s intelligence since he/she may be gifted in a way that one of these tests can’t measure. Also, an IQ is not a fixed characteristic and can change through effort, learning and a growth mindset. Also keep in mind that intelligence tests become more reliable as a child ages (usually at around age eight and above), but some parents prefer to have their kids tested at younger ages while they are ahead of their peers. On the other hand, school districts, though varying in their methods of testing, prefer to delay testing until a child is in 2nd or 3rd grade. Evaluating your child requires collecting their background information and helping create an atmosphere where they’ll feel comfortable. We’ll meet on a one-on-one basis with him/her to help them relax and know that we’re there to help them. From there, testing begins. This process involves many activities like answering questions, remembering information, solving puzzles, etc. Also, some areas will be timed. During the process, we examine their verbal and non-verbal reasoning, memory and visual-spatial abilities. We’ll also take note of how he/she handles testing areas that are both easy and challenging. Our IQ testing process includes the exam and interpreting the results to parents while offering recommendations. We also offer other evaluations that take academic achievements, behavioral/emotional adjustments and learning disabilities into account. Note that there is no reading, writing and math involved in the evaluation, but we understand that most kids we test excel academically in these fields. When having your child evaluated to determine the type of person they are, countless questions can run through your mind. It can be a real nail-biting experience, but with our team of psychologists at your side, it can be reassuring and pleasant. If you suspect that your child is gifted and want to know for sure, then we want to hear from you. Our methods of evaluation take all factors into account and we will do our best to interpret the results. Contact us today in Tampa for more information.